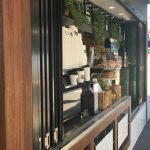 As a industry leader in superbly crafted commercial shopfitting, we have plenty of experience transforming small spaces into functional and attractive retail operations. 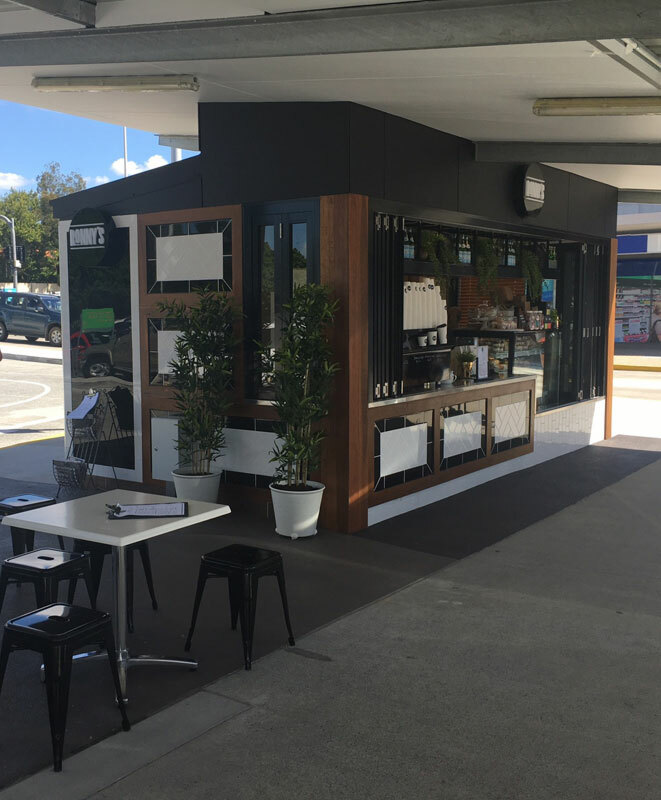 As the competition for retails space grows and rents continue to rise, some businesses are opting to set up in smaller spaces, and with a professional small fit out the lack of space doesn’t need to hold you back. 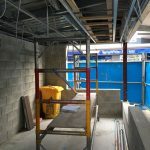 Fitting out small spaces can certainly come with a myriad of issues, but with creative thinking and experience these challenges can easily be navigated through. 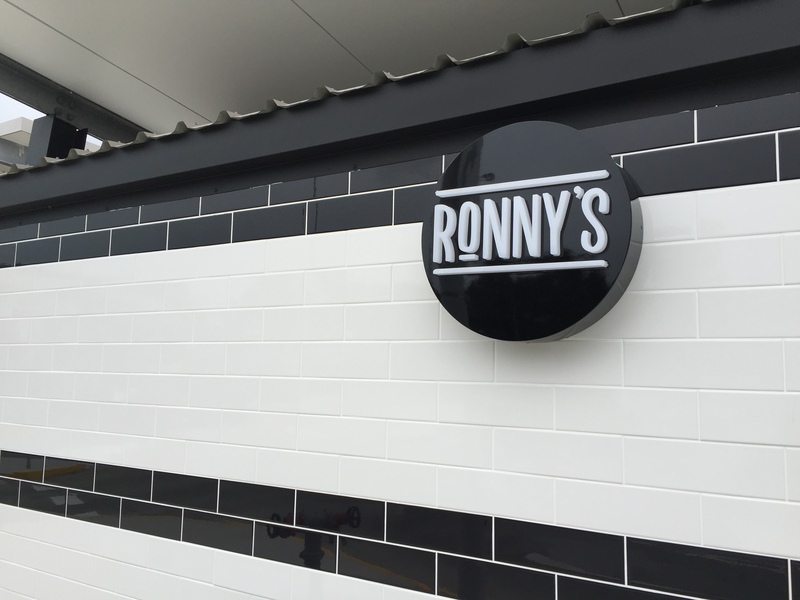 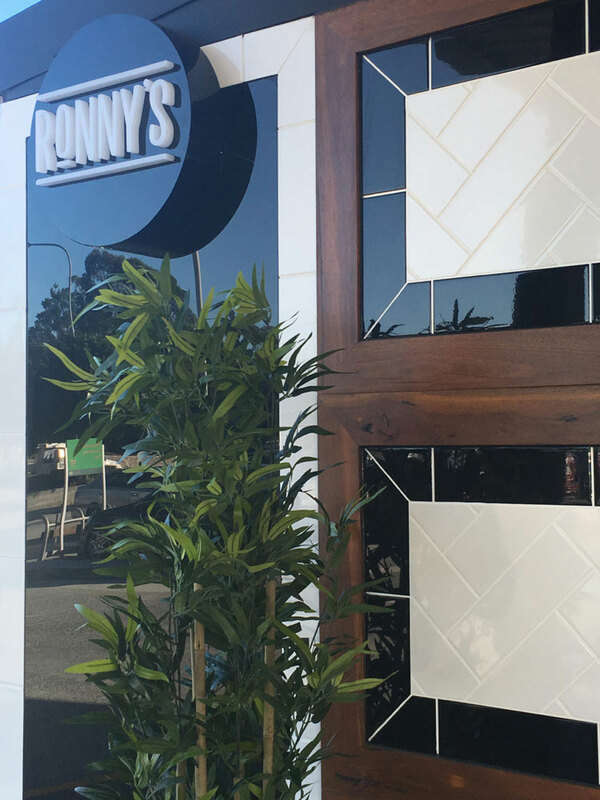 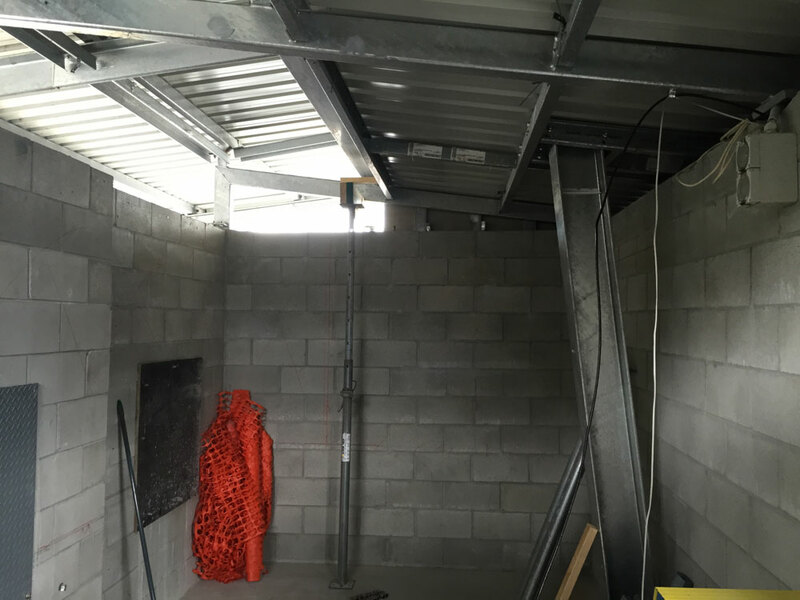 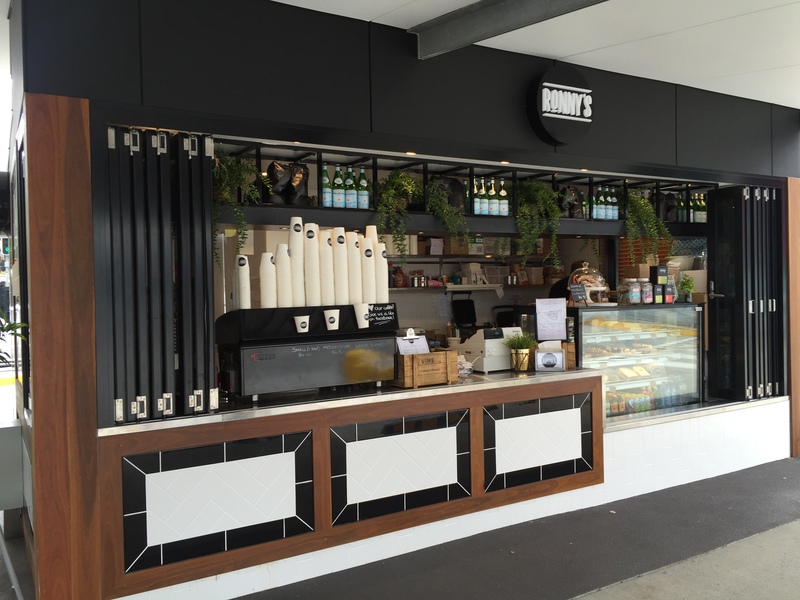 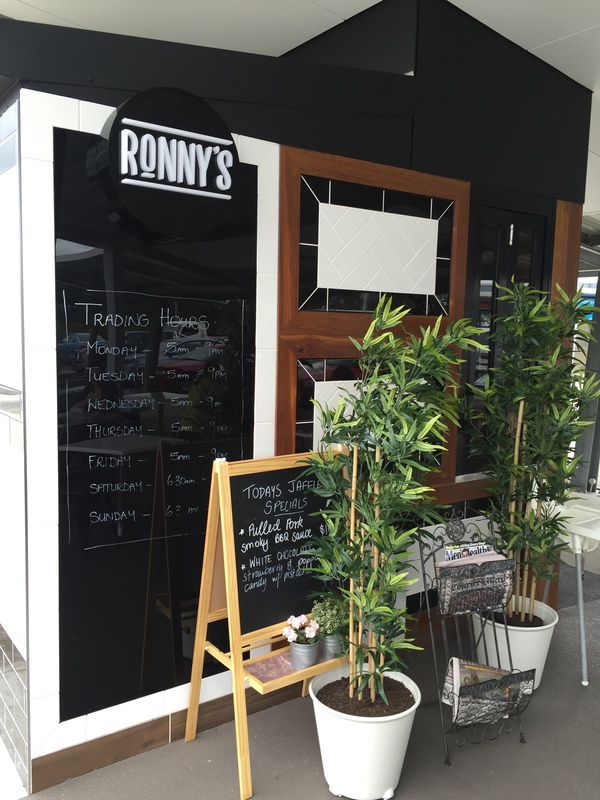 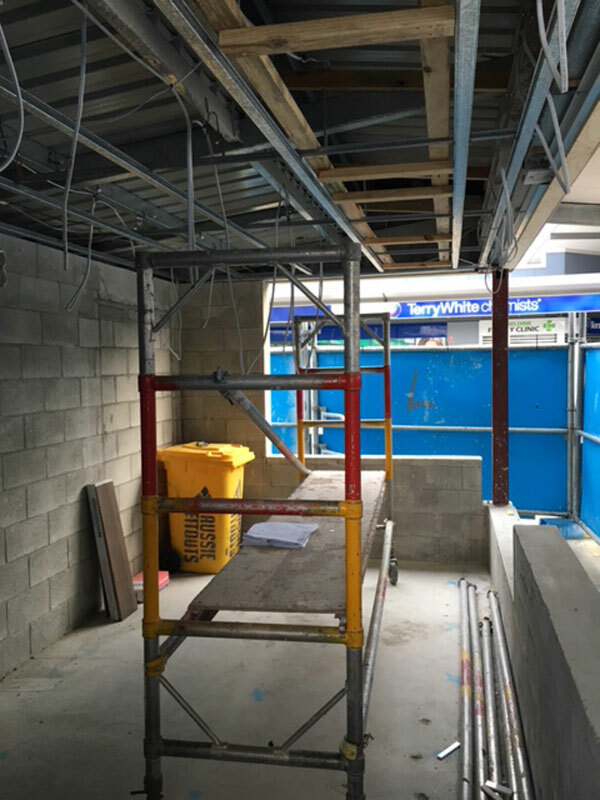 Our latest small space fitout is Ronny’s at Carseldine where we have captured our clients complete vision regardless of the size of the space. 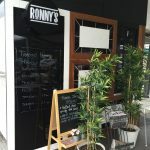 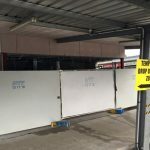 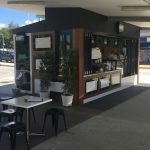 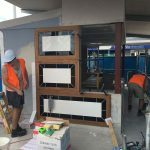 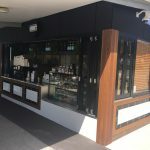 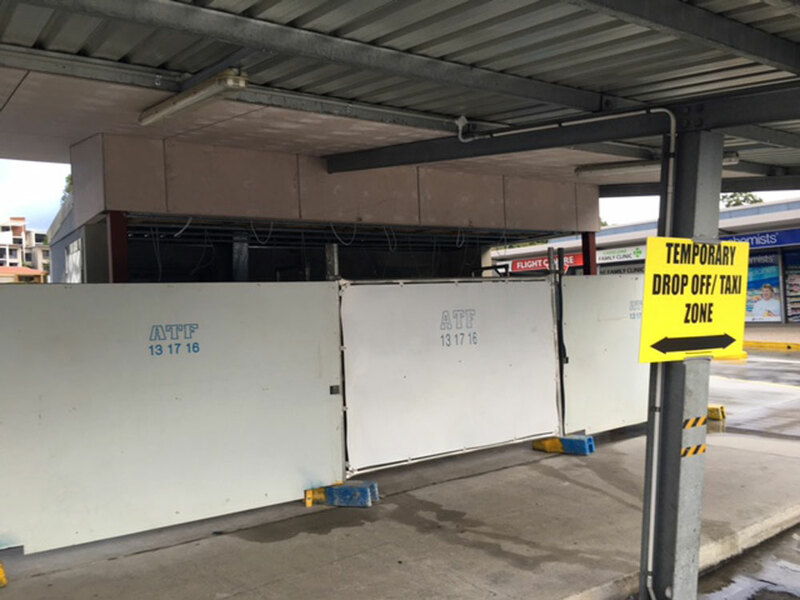 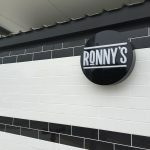 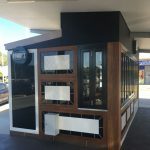 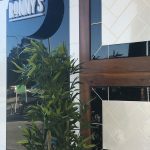 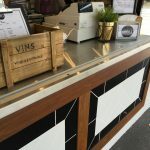 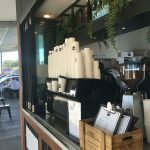 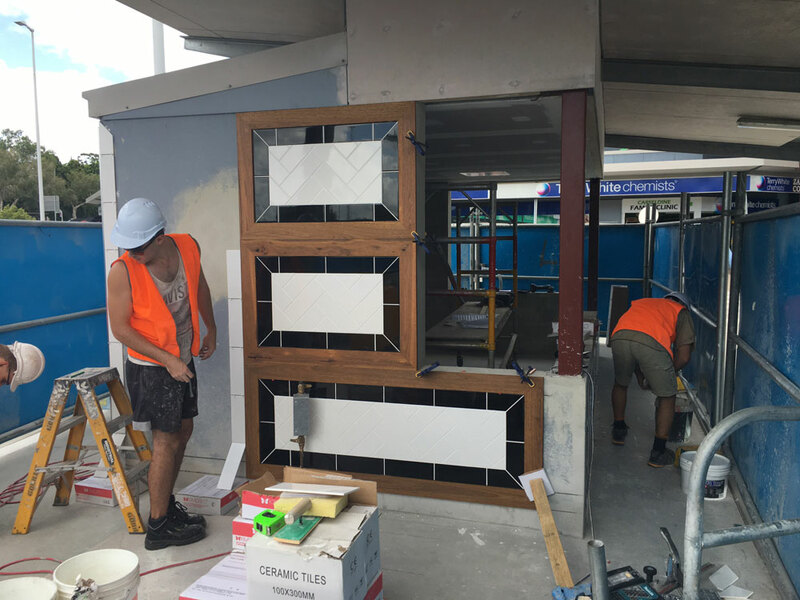 Keeping in front of the trends, Ronny’s has taken on a small space that used to be a bank of ATM’s for their new concept Jaffle Bar that will be serving jaffles, coffee and desserts. 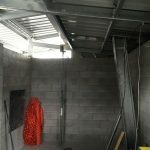 Take a look at the results to see the amazing transformation. 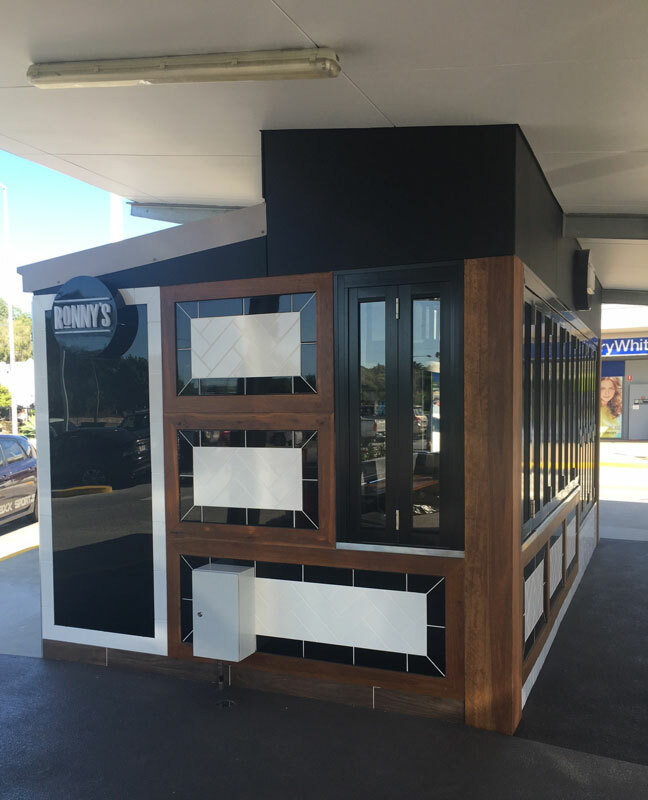 The modern compact design makes the most of the limited space available, without looking crowded in any way. 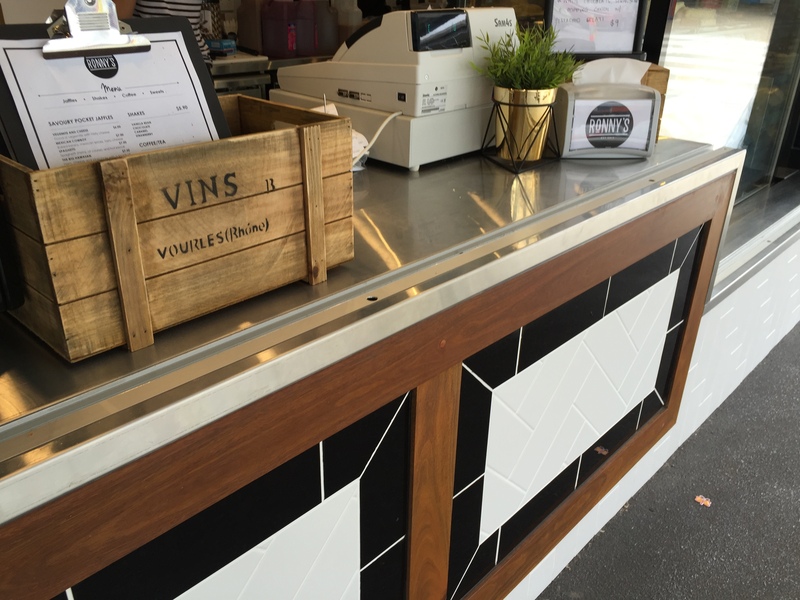 The food preparation facilities are all high quality stainless steel. 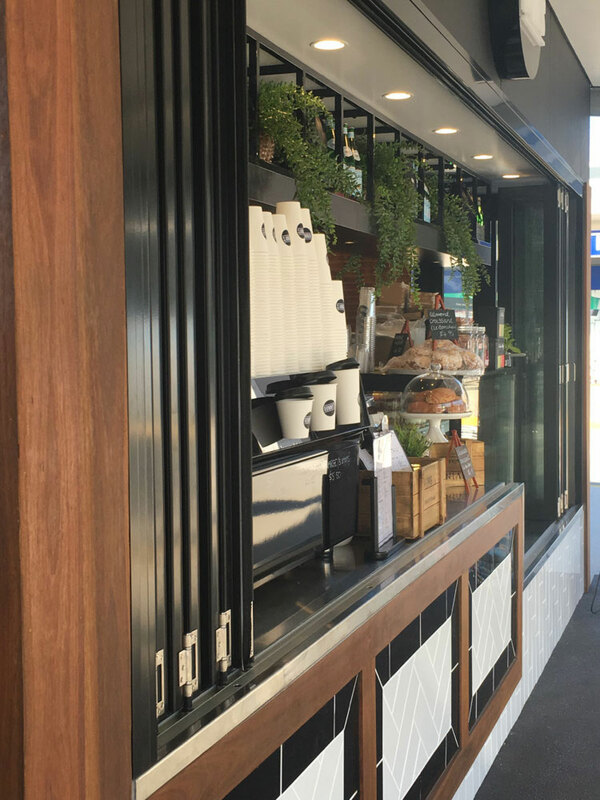 A bi-fold window system was installed as a perfect solution to optimise the counter space. 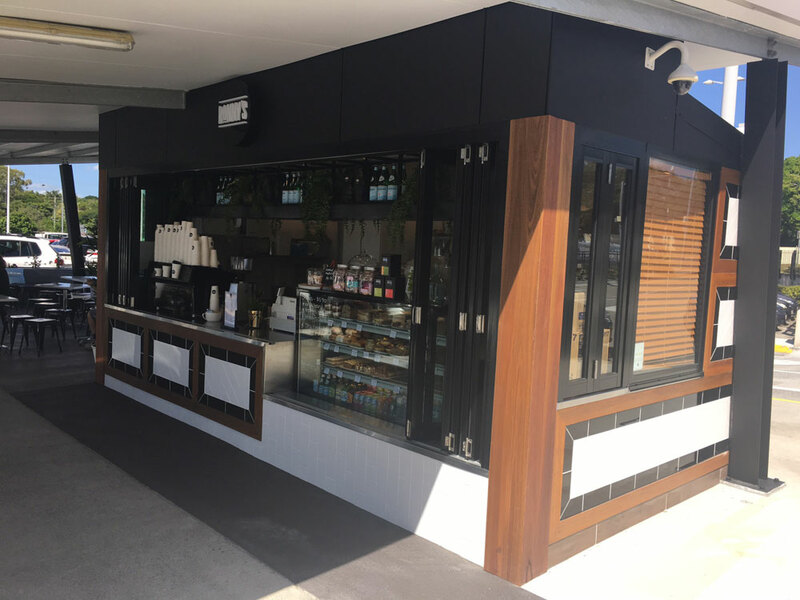 The use of classic, bold colouring paired with the natural elements of timber help the fitout stand out in the location and still keeps focus on the products. 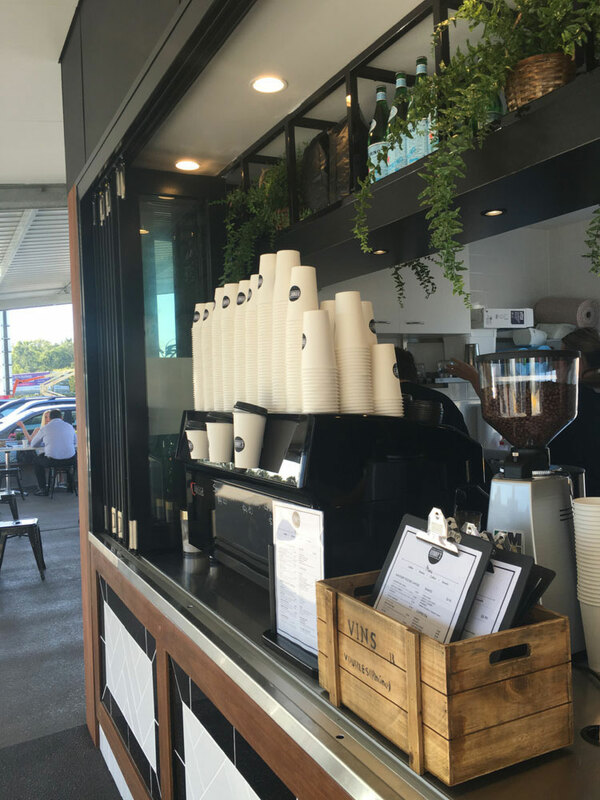 Customers can make a quick stop for coffee, or sit down for quick dining, simply and without fuss.